We realize this is a lot of information and you have enough on your plate already. In the name of streamlining, feel free to skip all of this and we will have a real person in our Texas office prepare a personalized presentation for your company. Since ICA serves many different industries we have created a term that applies to everyone. Certifying Entity (CF) is the company that is certifying the insurance coverages. ICA can perform certificate tracking services, which includes verifying dollars, dates, amounts, and that appropriate boxes are checked. This contains minimal information and does not include verification of insurance coverages. Includes dollars, dates, amounts, and that appropriate boxes are checked along with review of additional insured, waiver of subrogation, primary and non-contributory endorsements meet the contractual obligations. The date “Set Up” is completed and the system is turned on to begin communicating with your Certifying Entities. An ICA proprietary form that is used to collect insurance coverage information not provided by the Acord 25 certificate form which is important to verify the insurance coverage requirements of a contract or other document. There are several versions to collect information for different industries: oil and gas, construction, marine, and property management. Known officially as the “Supplement to Acord 25” form, the form is filed with various state departments of insurance for approval for use where allowed and appropriate. The “Service Year” is a 12 month period beginning on your contract date and any anniversary of that date. What is the extent of services available from ICA? ICA’s primary service is the matching of insurance information with contract requirements or insurance specifications to determine compliance. ICA offers contract implementation for clients needing to establish a contractual relationship but who don’t have dedicated personnel to get it done. Other services, some customized, can be provided, such as collection of W-9 forms, OSHA forms, or other compliance data. Why should I be concerned about verifying insurance coverages? Insurance is a very important component of a contract and is there to make sure some of the financial obligations in the agreement work according to plan. If the specified insurance is not obtained or insurance is inadequate, clauses such as the indemnity provisions may not work as intended if the Certifying Entity has not backed them up with the necessary insurance or financial assets. It’s far safer to determine the compliance before the need arises to enforce a contract provision than it is to find out the Certifying Entity cannot meet its obligation on which you have depended. Most insurers expect that a contract is in place and that customary indemnity and insurance clauses are included and enforceable. Could there be a financial impact if I don’t verify contractual insurance requirements? There certainly can be a significant financial impact. If an executed contract with indemnity and insurance provisions is found to be unenforceable by law or the vendor is unable to financially comply, you (or your insurer) may become responsible for paying damages that were contractually allocated to your Certifying Entity. If they are significant or frequent, your insurance costs or availability of insurance may be severely affected. Insurance is intended to be used to finance certain contractual obligations and lessening the need to underwrite the Certifying Entity’s financial status. Various states’ laws also require insurance in order for indemnity clauses to be enforceable in that state, making the verification of required insurance essential. Can’t we just track our certificates of insurance internally? You certainly can, however, ICA offers you a proven system with many years of development that takes much of the day-to-day work out of your hands. While there is still significant involvement, much of the communication with Certifying Entities and correspondence is handled by ICA’s highly automated system. Internally, ICA has experienced personnel that spend their entire day working with the issues you’d have to deal with only occasionally. ICA has assembled and cataloged a collection of 2,000+ different additional insured endorsements alone. It would be very difficult for anyone not dedicated full-time to this function to work with the cost effectiveness and efficiency ICA can offer. What does ICA do, anyway? ICA is a compliance service with the primary function of verifying that Certifying Entities have obtained the insurance protection necessary to meet the requirements of contracts in which they have entered. The insurance mechanism is very important to finance certain obligations agreed to in the contract between the parties. ICA endeavors to make as many Certifying Entities compliant as possible by obtaining the needed information to ensure the intent of the agreement is fulfilled and contractual obligations are properly met as they relate to the insurance and indemnity language. How does ICA charge for its services? ICA charges are generally based on the number of Certifying Entities for which ICA will be verifying and/or collecting information. The same fee is charged when a new vendor is added during the “Service Year.” The fees will vary depending on the selection of services provided. Are the fees the same for all ICA clients? No, clients are billed based on the type and extent of services provided. Why am I charged for all the original vendors up front? ICA charges for the number of Certifying Entities on your list at the beginning of the “Service Year” as the work to verify and/or collect the necessary information and interact with the Certifying Entities and their agents is usually completed in the first 60 days after the “Go-Live Date”. While the servicing is spread out more during the second and subsequent “Service Years”, there is no way to manage when the work is done during the year as coverages and communication is likely to take place over the entire period. What happens if I add Certifying Entities after the “Go-Live Date”? Once the Certifying Entity is added to the system, the system will generate the required correspondence to begin the process. This happens immediately after the complete information is validated. How do you charge me after the first year (the renewal)? About 10 days prior to expiration of the “Service Year”, ICA will tally the number of active Certifying Entities in its system and invoice you for the total number as of that date. That invoice should arrive shortly thereafter. Certifying Entities that are added thereafter will be included on the subsequent quarterly invoices. What is involved in the Set-Up process? The “Set Up” process involves consulting with you about how to put information together, what to expect, what will be realistic to verify, how to handle your requirements, determining to whom the various contracts or requirements apply, gathering the data and sample agreements or existing contracts and existing certificates. Once all this is done and the information is complete, ICA uploads the information and prepares its system to Go-Live. What information will you require me to provide to ICA in order to start the process? Depending on what you will want ICA to verify the list of information may be long or short. In all situations ICA will need to have a complete “Excel” list of Certifying Entities to be monitored including the full entity legal name, mailing address, email addresses, and phone numbers. If there are existing contracts or contracts yet to be distributed and signed, ICA will need copies of the existing contracts and all sample contracts that will be used. Likewise, if there are existing certificates of insurance, ICA may need copies of each, along with other documents pertinent to the selected services. ICA will, however, at the very least, need the specific terms and requirements of each contract that governs what ICA will be verifying. What if we have some of the contracts and certificates already? If many of your Certifying Entities are already under contract to you and you have received certificates of insurance from their agents, ICA can input the information into its system and begin to verify if the insurance certified actually complies with the requirements of the contract or other document. Non-compliant Certifying Entities will be notified of the specific issues that are discovered so they can resolve the problems and become compliant. ICA can also start from scratch and request new insurance documents for all Certifying Entities. Are there options as to what services we select from ICA? Yes, you may select services other than the basic certificate tracking services or insurance coverage verification, including contract implementation, W-9 form collection and other types of compliance forms. ICA can also build a custom module for you to meet specific needs. What are the “SA25” forms? The reference to “SA25” actually means the “Supplement to Acord 25” forms. These forms were developed to gather additional important information that is not shown on the Acord 25 Certificate of Insurance form. The “SA25” forms can be found on the Agents tab. Why should I consider using the “SA25” form? The information that is customarily evidenced on the Acord 25 Certificate of Insurance form is not enough to verify what is needed to determine whether or not a Certifying Entity has the necessary insurance protection that they agreed to provide. The “SA25” forms will help in gathering this information and do it in a fashion that is easier for the agent. The forms can be completed through the website and printed to the agent’s system for its records and then emailed to ICA to record and process. While it cannot be used in all jurisdictions, the option to accept policy forms and endorsements leads to higher fees due to the increase labor cost to read and analyze various forms. What if we do not have a contract with all of our vendors? It is suggested that contracts be obtained with all Certifying Entities but, if a client wishes, written insurance requirements can be used. In the former case, ICA can assist in implementing the contracts or check insurance coverage against the written insurance requirements. Is the “SA25” form used in all states? No, the forms can only be utilized in jurisdictions that allow other “Insurance Certificate” forms to be used. Many states only allow agents to complete the Acord 25 form. This requires that policy wording be provided, form numbers that provide the coverage be listed or the information we use to check compliance will be limited. Additional fees may apply. How long does it take to get through the Set-Up process? Once the necessary information is received and is shown to be complete, ICA can usually begin the set-up immediately and be ready to Go-Live within about two weeks. Sometimes due to the work load, ICA needs to schedule the “Set Up” for a later date and cannot begin the process immediately. If there are a large number of Certifying Entities, it may be best to “stagger” the activation of the Certifying Entities in the system. This will keep everyone from being overwhelmed with all the data that will be coming in. ICA will make this decision with you using its experience to help you understand what to expect. If we agreed today that we want your services, how long does it take to get it going? A lot depends on how long it takes to assemble the information that is needed. The complete Certifying Entities list is the biggest issue. Since ICA charges on a per CE basis, you only want to include CEs you will actually use or will realistically use if the occasion should arise. This can take time because several people in your organization will have a say in who is on or who is off the list. After all, you are hoping to have an approved Certifying Entities list, but it needs to be complete and useful. How do I put together my vendors list? There are many ways to assemble this list. Usually a good starting place is a report from your accounting department which lists all the Certifying Entities you’ve paid for services in the past. This list can be very extensive and include a lot of Certifying Entities you haven’t used in years but are still in the system. Some clean up may be necessary or you can begin to pare the list down by looking at a specific period of time during which you last paid them. You will have to decide what period of time will capture the most complete list of Certifying Entities you use or might use in the next year. The accounting system’s list will include Certifying Entities for which you will not need to verify insurance requirements, i.e., utility suppliers, subscriptions, professional organizations, insurance companies and agents. What happens on the “Go-Live Date”? 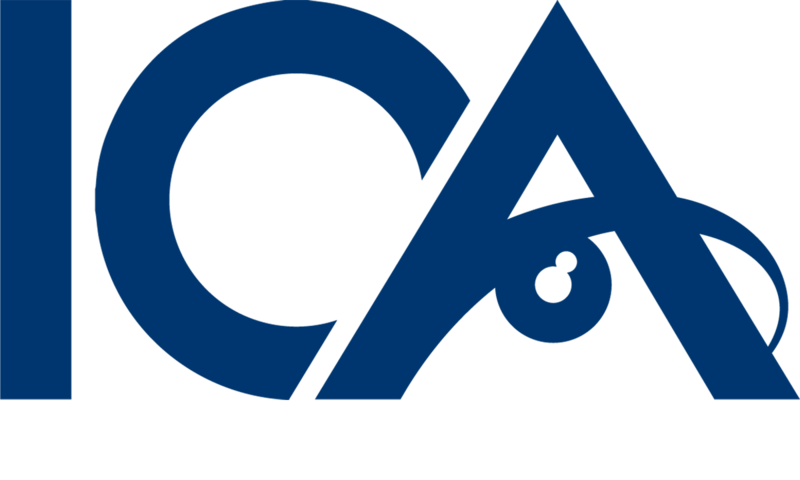 On the “Go-Live Date” ICA will begin to email its requests for information to your Certifying Entities based on the plan ICA and you have agreed to follow. Do I have to sign a contract with ICA? Yes, there is an agreement between ICA and your company. It describes who is responsible for what. It details the charges and services you have agreed for ICA to provide. How do you implement our contracts? ICA sends contracts with instructions to the Certifying Entities you decide you want under contract. You may have various versions or requirement levels for different types of operations. ICA can send the specifically required agreement based on your guidelines. What do you do with a contract once ICA receives it? If there are no changes, our contract administrator will send agreement directly to you for execution and distribution of the Certifying Entity’s copy. If it appears there are revisions, the contract administrator will review, forward to you, and let you know it will be necessary for you to look it over and approve or deny the changes. The administrator will have a copy scanned into the ICA system for records purposes and will also scan the final executed document, if provided to ICA, so you can see the agreement in the system should you need to refer to it. If the agreed changes, if any, affect the verification process, the system will be modified to reflect the newly agreed requirements once ICA is made aware. Certain Certifying Entities may not be able to comply with some requirements, but you may choose to use their services regardless. In such cases, you may “defer” ICA’s checking of certain requirements so that the Certifying Entity will be compliant in the system. Such “deferrals” do not affect contract requirements but do stop ICA’s verification of specific requirements. Do we have to have ICA do the complete process when getting contracts for us? No, ICA can do as much or a little as you’d prefer. Can we look at the documents you have received for us? Yes, all documents ICA receives are available for you to view through the ICA system online. You can print the documents and/or export the information to Excel so that the information you need is always available to you or your field staff. In particular, this can make Workers’ Compensation audits much easier. If we acquire another business how does that affect ICA and our services? If you acquire another entity or operation, ICA will handle the new CEs just as we would new CEs for your original entities. We will consult with you to determine what services are appropriate for the acquired company or operations. If necessary, ICA will renegotiate the agreement in place to more accurately reflect the newly combined operations. What happens if we are acquired by another company? Can the services continue? ICA can continue its services for the entities for which services were contracted and extend services to the new ownership if that is desired under a new agreement. Do you advise us to use ICA on all Certifying Entities at once? If there are a large number of CEs, ICA may advise that you choose to “stagger” the CEs into the system. Bringing them on in small groups will lessen the load for everyone involved and may make the first “Service Year” run smoother. ICA will decide with you what is best for your company. How do you get information from our Certifying Entities or their agents? ICA requests information from your CE but includes instructions to its agent on what we need and how to provide it. If a contract is involved we will reference it and, if we are implementing contracts, will include a copy of the contract to be signed. What does it mean when you say you “process” a document? Processing a document means inputting, reviewing, and recording the information provided and cataloguing the documents for future viewing and reference. What if we want to stop the ICA services or cancel our contract? You can stop ICA services by giving ICA notice at least 60 days prior to the anniversary date of the agreement as described in Article VIII of the ICA Agreement. Fees are not prorated during a “Service Year” if you choose to end the service mid- term due to the fact that ICA has processed information throughout the period and it is very difficult to divide annual service fees into specific tasks that have occurred. ICA fees are intended to be average costs under which ICA hopes to make money. Some Certifying Entities require far more labor than others and time required cannot be intricately recorded for each Certifying Entity. Do we need to tell ICA that we do not want to renew at some point in the future? Yes, you will need to send us written notice at least 60 days before the anniversary date of your agreement or “Service Year”. You will find this in the ICA Agreement under Article VIII. How do you send information to our vendors? Depending on the information provided to ICA, ICA can send requests via email, fax or regular mail. Obviously the fastest way is by email, but ICA will use whatever method fits the situation. How will I be billed for ICA’s fees? You will be invoiced based on the total number of Certifying Entities that are on your list approximately 10 days prior to the end of the “Service Year.” Invoices are due within 30 days of the invoice date. How am I billed for additional vendors? If a new Certifying Entity is added after the “Go-Live Date,” ICA will invoice you for that Certifying Entity after the end of the quarter during which the Certifying Entity was added. When is my bill due to you? Your invoice will be due to ICA within 30 day of the invoice date. When do you bill me for the second year? ICA will invoice you about 10 days prior to the start of the new “Service Year”.